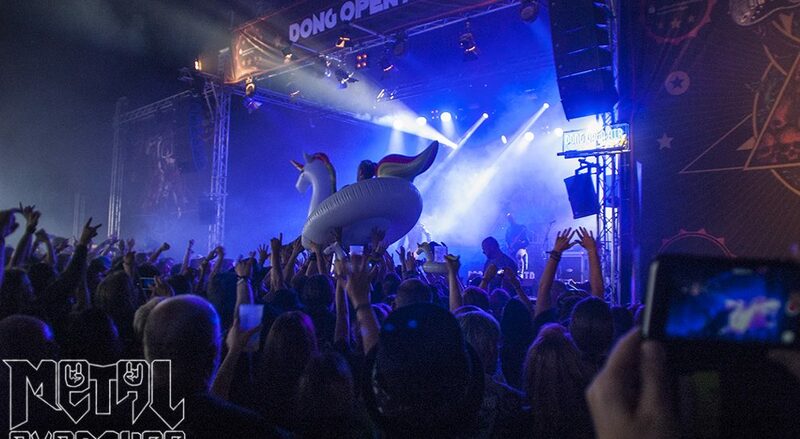 Weird times call for rock & roll – this was the motto for the Dong Open Air festival of 2017. We don’t need to tell you what those weird times are about, as much as we don’t need to tell you how to rock & roll. Because this is done every year at Dong Open Air, on the Halde Norddeutschland, the highest hill of the area with the best view over the Ruhrgebiet. Every year thousands of metalheads climb the mountain to join in the greatest small festival of the area. Dong Open Air has been around for 17 years, and we’ve been there for ten of those. We’ve seen the festival grow from tiny beer tent stage to the current large open tent. Yet the atmosphere never changed – and 2017 wasn’t going to be any different.